Key difference: Both Jupiter and Zeus are powerful gods of the Roman and Greek mythologies respectively. They both are considered to be the same god in different time and cultures, though they have their slight difference in powers, weapons and appearances. 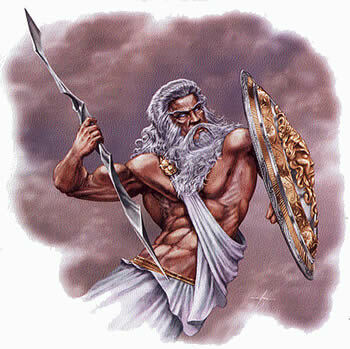 Jupiter and Zeus are the two most all powerful gods and gallant warriors amongst all the gods. They are the king of all gods. Jupiter and Zeus are undoubtedly gods with different names. However, these mythological characters are considered to be the same god in different times with different cultures, wherein Jupiter was the Roman king of gods and Zeus was the Greek king of all the gods. Probably the most legendary Greek god, Zeus was the god of all gods. He, born to Cronus and Rheas, was the most powerful deity on Mount Olympus. He had the power to create thunderstorms, earthquakes and strike lightening. It was his job to reward the good, and punish the bad to erase evil. Zeus was a father-figure to all gods, who paid their respects by following his every order and rising to stand in his presence. Despite of having four children with his wife Hera, Zeus is believed to have produced many offspring through his liaisons with goddesses and princesses. 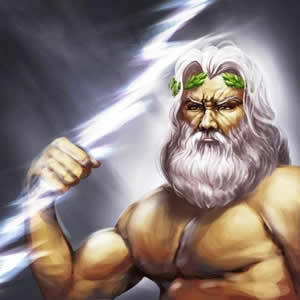 Also, Zeus is said to have overthrown his father Cronus to rule the earth, the skies and the seas. Though, later on, Zeus brought in his brothers, Poseiden and Hades, who became the king of the seas and the underworld, respectively. And, Zeus became the ruler of heavens and universe to make them function smoothly. Jupiter, on the other hand, was a mighty Roman god. The term ‘Jupiter’ was a concoction of two words that meant ‘heavenly father’. Jupiter was the son of Saturn, and after his father’s death, Jupiter is said to have shared his world with his brother’s Neptune and Pluto. While, his brothers traded between the skies and the underworld, Jupiter took his throne in the heaven. He was too married to his sister, Juno and fathered many children, who were all entrusted with magical powers. Jupiter is, often too, cited as the Italian god. Also, he has many other names such as Jove, Latin, Lupitter, Lovis and Diespetier, etc. and if one wants to please Jove, he is believed to be pleased with the scarifies of lambs, oxen, etc. Zeus was definitely the most popular among the two. However, they were the same gods of different stories and origins. Both gods played the role of the protectors of the mankind, and if and when humans prayed to call their name, they would come for the rescue. Both were the gods of vast skies and thunder. Their presence created law, order and even fate. Along with this, both had thunderbolt as their main weapon, and Eagle as their sacred animal. Artists, often, describe them as standing gods with a thunderbolt raised in their right hands. Thus, from the above explanation, it is understandable that Zeus and Jupiter are the same, and few differences between the two are described in the table below. He is a Roman god. He is a Greek god. The father of Jupiter is Saturn. The father of Zeus is Cronus. He is the ruler of the sky, and the god of light and victory. He is the ruler of the sky. Jupiter was married to his sister Juno. Zeus was married to his sister Hera. He uses lighting bolt as the main weapon.